My new BFF! My face loves this mask made with French clay and other good for the skin wonders. Glamglow is an amazing rapid exfoliant mud mask.All natural Vegan ingredients! Ryan Seacrest,Natalie Portman and Nina Dobrev are fan’s. First used behind the scenes on celeb’s now avaiable for YOUR face. Look good for your Valentine with kissable lips and a glam glow just like the celebrities use. Does your face look oily and greasy …NOT glowing? HATE foundation? Do you want a pretty quick and natural looking fix? First of all don’t hate your shiny oily skin. Oily skin is your friend. It keeps you younger looking longer. However, I have oily skin and I know how you feel. 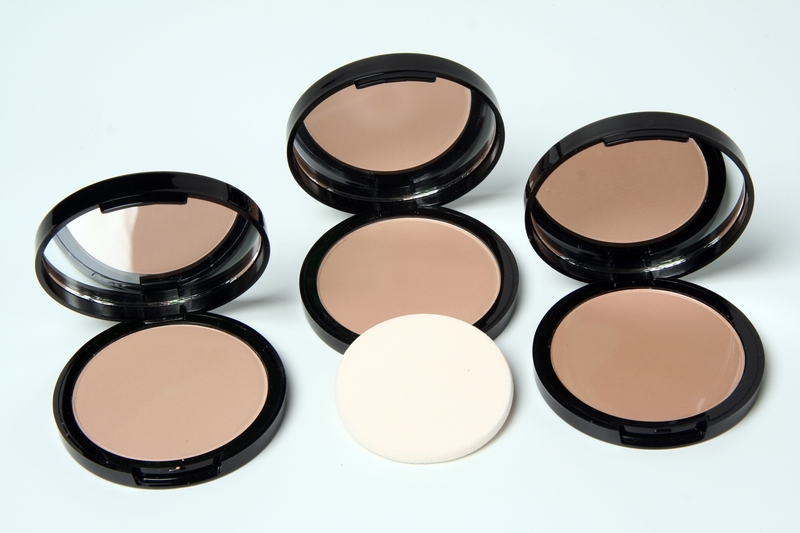 Besides using good skin care for your skin type my beauty secret is a powder foundation in a compact. A double duty beauty that gives you amazing results and looks soft and pretty. I professionally recommend a kabuki (short & fluffy)powder brush to apply it. NOT the flat powder puff that comes with them. I get compliments on my complexion every day! I hope you will TRY one someday soon and enjoy the beautiful looking benefits. BRUSH oily skin away,tone down shine and even out your complexion with this new beauty technology and look. Say “Hello” to a gorgeous new look. Dry,normal to dry or hormonal skin loves this too.It evens out your skin with a kiss of powder and foundation too.NOT heavy and no cakey powder face. Got a beauty or skin question? I’d love to help! Simply ask. If you want to look good tonight or this weekend you have to treat your skin right and give yourself a mini facial with GlamGlow Mud or if you don’t own it try a clay based mask. This mask with French clay will make your pores appear smaller,clean and detoxify your skin and your skin will look awesome. Leave the mask on at least 15 minutes. Rinse well with lukewarm water and a wash cloth and apply your fave moisturizer. Next you are ready for applying your makeup. It will glide on like silk and your skin will look and FEEL AMAZING! Celebrities are doing it! You can do it in the privacy of your boudoir too! Do you have a boo boo on your body or on your face? 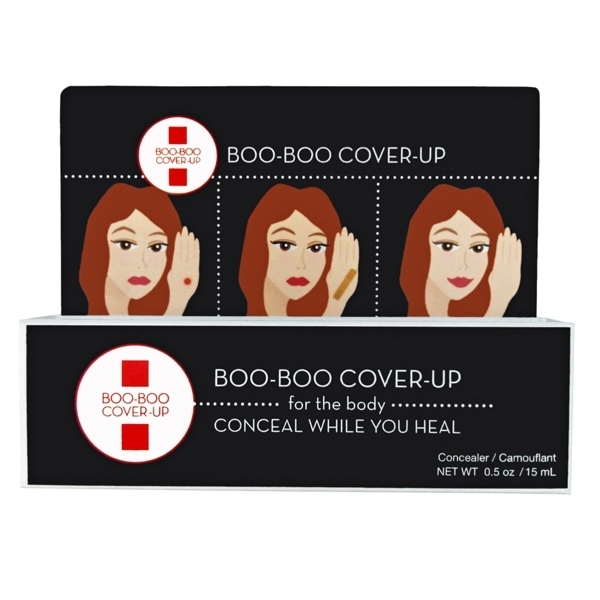 New from BOO BOO COVER-UP light,medium and dark.It is my go to product for the face and body. If you had bad scar issues or other issues this may just work wonders for you! Got dry skin,chapped lips,dry cough? It has been a crazy cold week in not so sunny Florida since the new year began and as I write I am drenched in air beauty and my pretty pink warm bathrobe. 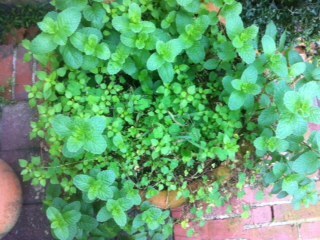 Listening to George Skaroulis’s soothing CD named Sanctuary I am creating a beauty sanctuary for me. 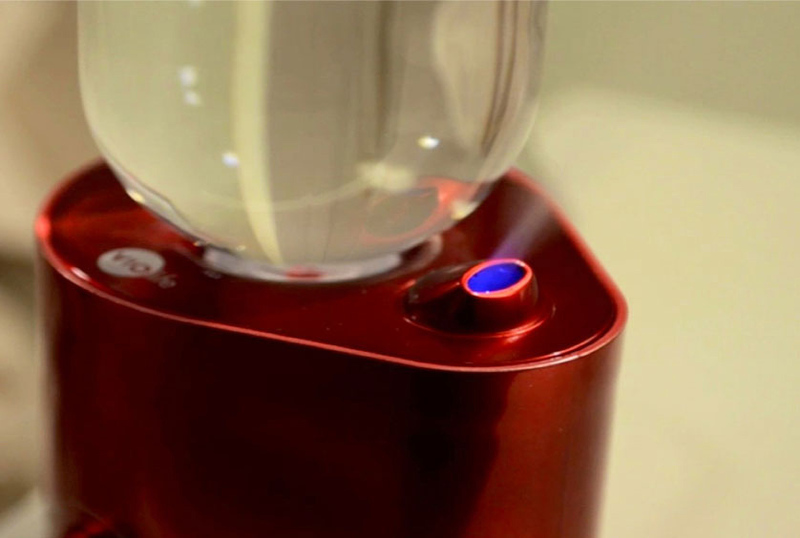 My new go to beauty product is not a dream anti-aging serum and is not “hope in a jar”…It is a humidifier! Along side my soothing illuminating salt lamp, my happy Buddha figurine I am feeling healthy and so serene. Keeping the air around me and my family filled with the magic of this inexpensive user friendly humidifier.Your skin gets thirsty just like your body craves water.A humidifier is great for your home,bedside,office,end table,reading nook,hotel room…where a little moisture adds a lot of comfort. Especially in the colder weather we have been having.The humidifier delivers an ultra fine vapor without large or heavy tanks to fill every few hours. Violife is the name of the brand and it uses a standard 16 oz. drinking water bottle,remove the cap, place the bottle adapter on the bottle and turn down to place in the unit.Another great feature besides the personal mist is it outputs 3 different changing light,for added peaceful looking ambience. Take care of the skin you live in! Hope you’ll take better care of yourself in this brand new year!